To many gardeners and designers beech hedging is the best. 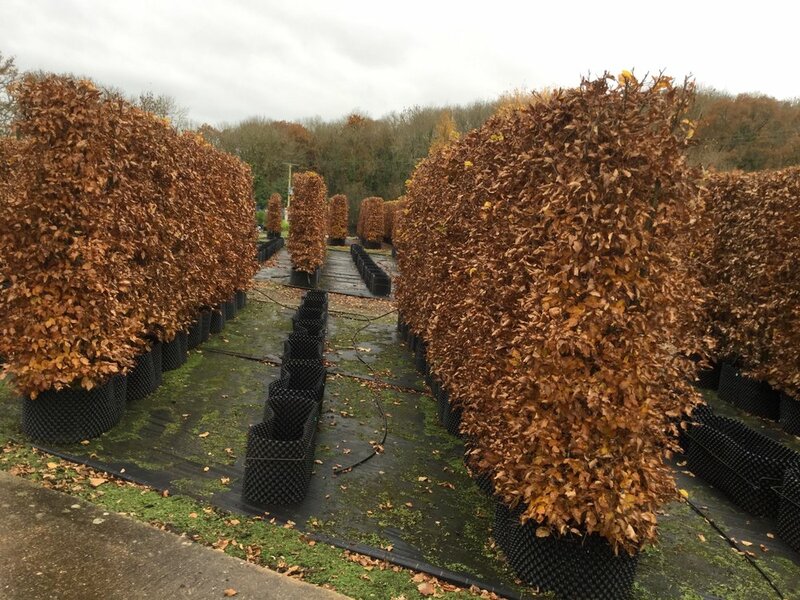 Fagus Sylvatica provides an excellent screen which is bright green in spring and summer and a mellow brown colour in autumn and winter. When the beech leaves change colour in autumn they generally remain until the new leaves push them off in the spring. 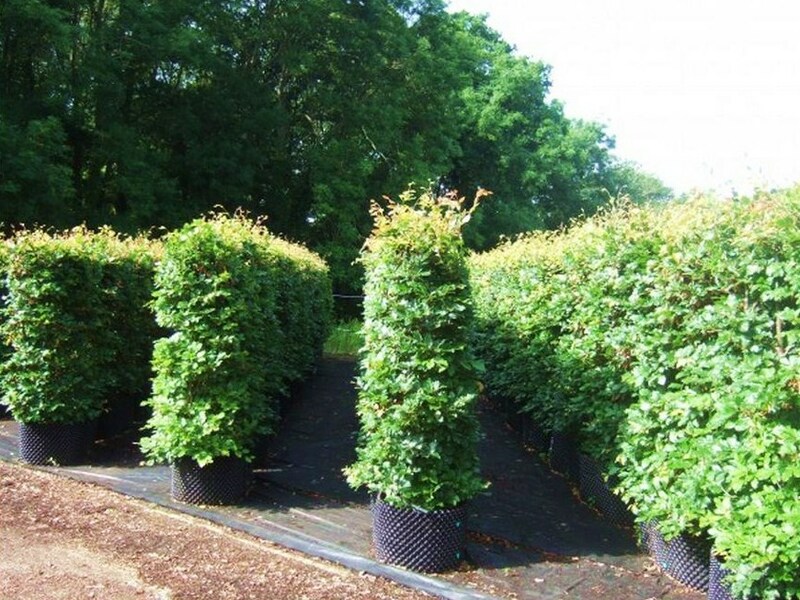 Each unit has six plants, which are planted and established in two rows of three to provide a robust hedge. The branch structure provides a very good nesting place for small birds and we have lots on the nursery during the season. Leaves are oval with a wavy edge. Beech hedges prefer to grow in free draining soils and you need to consider this when choosing your hedge type. (Hornbeam is an ideal substitute which tolerates wetter conditions). We prune to shape and height during development. An annual trimming in September will help to retain the leaves during the winter months.